Formats: CD, LP, MP3, Deluxe ed. 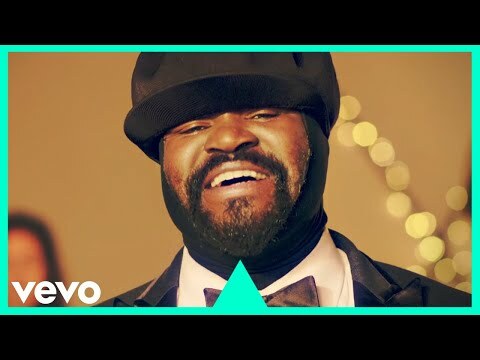 Born and raised in Sacramento, California, Gregory Porter is undoubtedly a jazz legend. He captured audiences with his enchanting baritone voice the moment he stepped on the scene, receiving a Grammy nomination for his debut album Water (2010), and wining the Grammy Award for Best Jazz Vocal Album with Liquid Spirit (2013) and last year’s Take Me To The Alley. 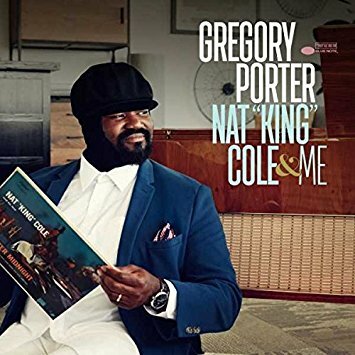 Now, as he teams up with 6-time Grammy award winning arranger Vince Mendoza as well as the London Studio Orchestra, Porter will sends chills down your spine and possibly bring a tear to your eye with his new album Nat “King” Cole & Me. The material in the album consists of gorgeous orchestral arrangements of songs made famous by Nat King Cole, one of the first being “Nature Boy.” Porter’s rich tone on this song is hauntingly beautiful as he treats the melody and the text in ways clearly influenced by Cole yet still maintaining his own individuality. As the album continues we are met with even more phenomenal arrangements like “Miss Otis Regrets,” with a bombastic introduction that swiftly drops as Porter enters with the lyric. But one of the best moments happens towards the end of the album as Porter sings the standard tune “For All We Know.” His tender delivery of this song is amazing in how he treats the lyric and occasionally embellishes the melody, showcasing excellent control. With other classic tunes like “L-O-V-E,” “Sweet Lorraine” (on the 15 track deluxe edition) and “The Christmas Song,” Nat “King” Cole & Me is absolutely astonishing. With a rich and soulful sound, no one could do more justice to the memory and legacy of Nat King Cole than Gregory Porter. This entry was posted in Jazz, Rhythm & Blues, Soul, Funk and tagged 2017, 2017 album, 2017 releases, album release, album review, Blue Note Records, Blues, Gregory Porter, Jared Griffin, Jazz, Nat King Cole by aaamc. Bookmark the permalink.